The primary differences between PetGrass and 95% of “Pet Turf” on the market are in the construction and the antimicrobial properties. Perfect Turf PetGrass is constructed with 4 times the drainage holes of normal turf, and each hole is larger than normal. This is because drainage is a primary concern with turf made for pet use. Urine is smelly and even dangerous if it doesn’t properly drain. Meanwhile most brands of “Pet Turf” are simply a renamed version of their normal turf. As you can see generic pet turf has much fewer holes, which leads to puddles of urine and drainage problems. There is a reason top dog hotels like Camp Bow Wow all use specially made dog turf. Some companies claim that since turf is plastic is it naturally antimicrobial. That is false in any pet setting outside of some residential yards where the owner has very low amount of dogs per square feet of turf. Some companies offer an infill with antimicrobial properties. This can work for a residential application or a large dog park, but inhibits drainage enough that it would cause serious problems with enough volume of dogs per square foot. Finally some companies offer turf with antimicrobial agents built directly into the turf. This is the only type suitable for doggie daycares, vets and other facilities where there will be many dogs on the turf each day. 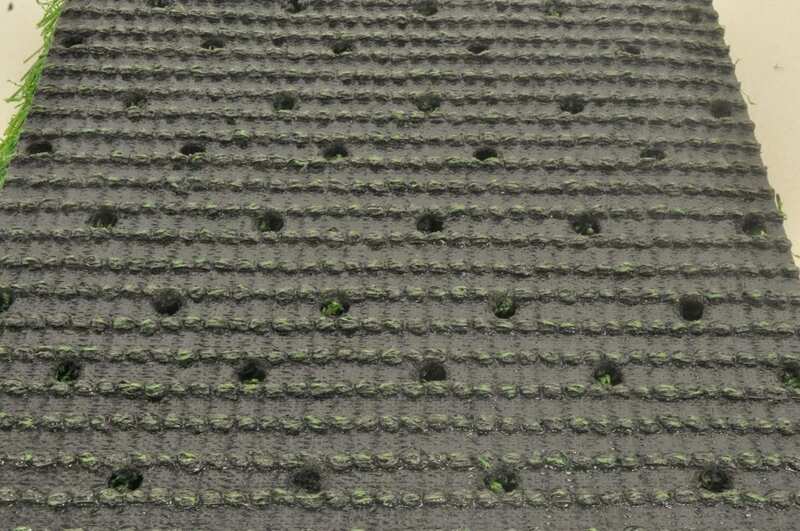 PetGrass offers antimicrobial agents built specifically into the yarn and backing of the turf. No other turf on the market can match that claim. Using Regular Turf for an application with dogs involved is only advisable if you have a low amount of dogs on a large area. If you’re a home owner with a 2000 square foot backyard and 2 dogs, PetGrass would be overkill, and even an infill solution is likely not necessary. 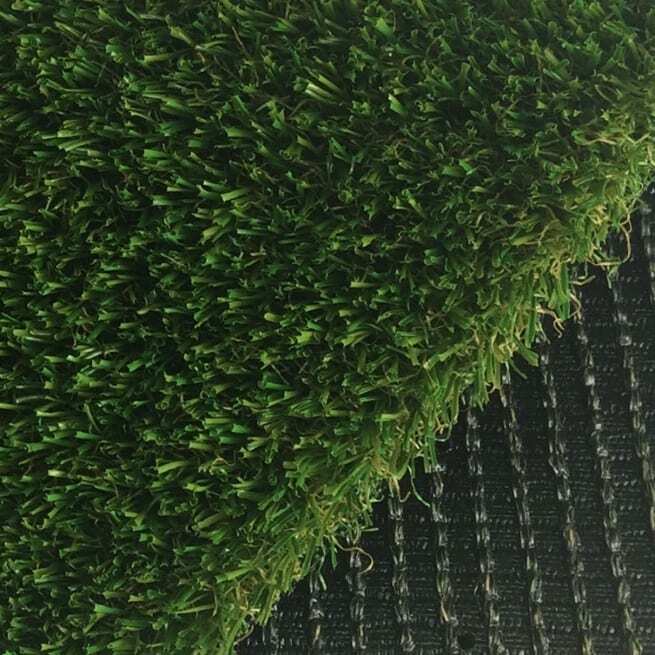 Perfect Turf has the best value turf on the market in Home Turf 53, which is much better quality than turf found at Menards or Home Depot for the staggeringly low price of $1.57 per square foot. We also have other options that are slightly more expensive and have even better quality. The time you should consider using an infill-based system is on an install with a low amount of dogs per square foot per hour. Examples could include a 17,000 square foot dog park or a 300 square foot yard of a person with 2 dogs. For high-volume uses PetGrass is the best solution on the market. It has the best antimicrobial protection with agents built into the yarn and the backing, as well as great drainage. Know what you want and need a quote? Want some help deciding between some of the options? Anything else? Call us at 888-SYN-TURF (796-8873) or use the contact form below!